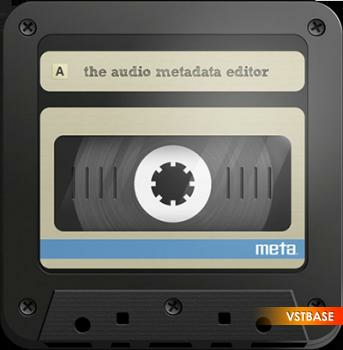 - Metadata: ID3v1, ID3v2.3/v2.4, APE, MP4, Vorbis, INFO Tags. - Straightforward, native user interface that follows macOS' Standards. - Batch Editing: Apply changes to a selection of files at once. - Preview audio and artworks without leaving Meta, using Quick Look. - Find and replace text, or regular expressions. - Rename files, extract tags from file names, or even create directories by specifying metadata patterns. - Easily set or export album artworks using drag & drop. - Adjust artworks (scale, crop, compress) either on demand, or automatically upon adding new artwork, to keep your audio files size to a minimum. - Generate track number sequences: just choose an index and increment, and Meta will do the rest. - Batch cut/copy/paste metadata: very useful in-app, and to exchange data with Numbers or Excel spreadsheets as CSV. - Utility popovers that help you edit long text (lyrics, comments), BPM (tap tempo), or dates so you don’t have to worry about what format to use. Add selected tracks to iTunes, or refresh their metadata once edited in Meta. Optionally get autocomplete suggestions from iTunes’s database. View Configurations allow you to define lists of tags you want to view/edit. Edits are instantaneous. Any changes can easily be undone. And most of all, Meta is powered by Taglib: a well-tested, open-source tagging engine. We’re dedicated to bringing you frequent free feature updates. If you want to contribute to making Meta even better, get in touch via the App Store “Support” link, or tweet us @meta4mac. Happy Tagging!